This is the 21st century and there’s LED lights on just about everything now, but when you slide open a drawer… total darkness. Well, the inside of your drawers can finally illuminate their contents when you add these cool new IKEA Dioders to them. 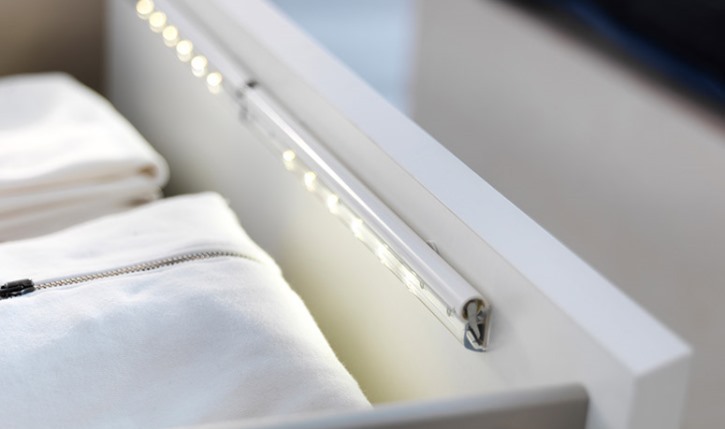 This ingenious little battery-powered LED strip light turns on when you open a drawer and shuts off automatically when you close it.